Hexus got its hands on some pictures of the beautiful all-white GeForce GTX 680 LTD OC V4 from KFA2. Retail availability is expected in January 2013, albeit in limited quantities. We're led to believe the card will be in stock in January 2013, but the underlying specification doesn't appear to have changed. 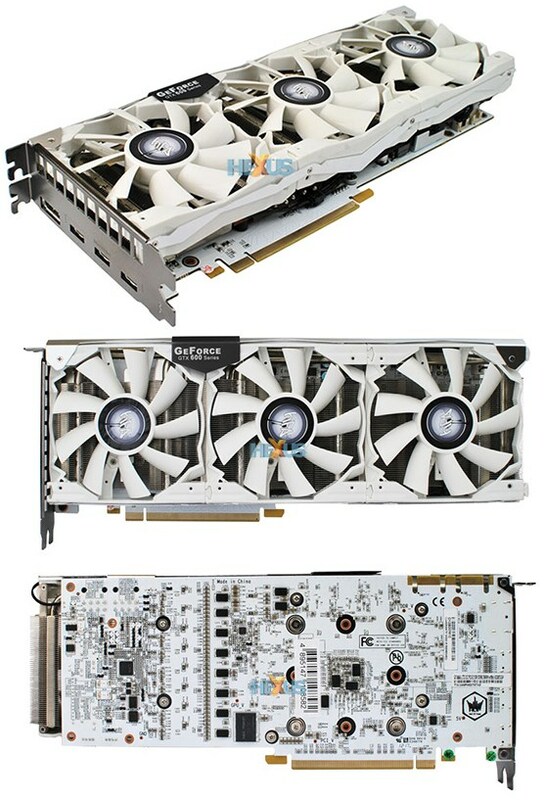 In keeping with June's LTD OC, next year's all-white LTD OC V4 will feature an NVIDIA GK104 core overclocked from 1,006MHz to 1,150MHz (plus GPU boost, of course), and a standard 2GB GDDR5 buffer clocked at 6,008MHz. There's no word on pricing just yet, but seeing as KFA2 has elected not to double up to 4GB of memory, we'd expect to see this one land at under £450.